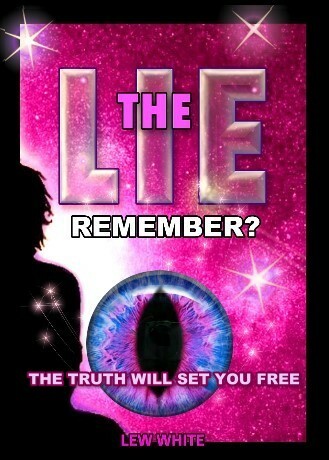 The LIE is a book that holds important questions that will disturb those that may think they've found the Truth. In the search for Truth, we have to keep vigilant, and test the validity of everything we believe. The Scriptures of Truth begin by showing how easily we can be deceived, and the first lie ever recorded is documented for everyone in the first several chapters after Creation. A serpent told a lie about eating something the first humans were forbidden to even touch. Ever since, humanity has been on a death walk, with the Word of Yahuah ringing in their ears of how to live. If we believe His Word, we can recover. If we choose to not believe, we will die. Each of us will die or live by our own choice in the matter. 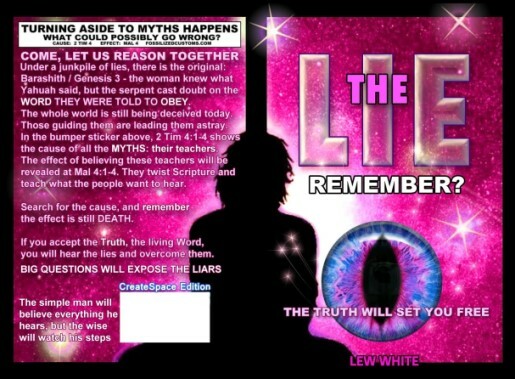 The same lie is deceiving humanity today, and Scripture tells us it is being told by those who teach us. The questions in this book will change you forever. You will never be able to return to the way you've been led to believe, because everything you've ever been taught has been with the objective of making you believe you can disobey Yahuah, and still live. 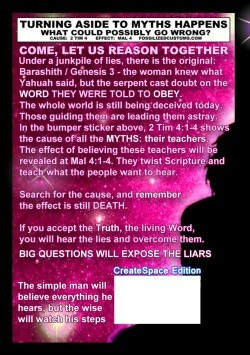 How the teachers have done this to everyone is explained, using the Scriptures of Truth. When you find the Truth, you can be set free from the lie. If you want to inherit eternal life, guard the Commandments, they will never pass away. 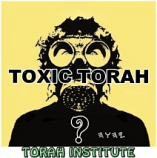 The whole world has been deceived, and the Truth reveals how in the last days people will mount up a great number of teachers that will teach what their itching ears want to hear, and turn aside to myths. Where are those great numbers of teachers to be found? Find out by reading the questions in this little 96-page book. It will break your heart when you read them, because the Truth will be revealed to you, and you will awaken. Something is about to happen to everyone in this world, and that is why you are reading these words right at this moment. Someone is calling you to awaken. You may think you have known Him, but what's more important is that He knows you. If you hear the call of your Shepherd, run to Him! The time is nearer than anyone thinks it is. None of the wicked shall understand, but those who have insight shall understand. (Dan. 12:10) Blind Guides are everywhere. Their weeds have grown thick and are steadfastly blocking-out the Light, choking the wheat. Reapers are coming, help blow the shofar. 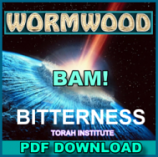 About the cover: The artist's interpretation of the cover art on The LIE: The whole cover represents two competing points of view, or what Paul described as the continual battle between Yahuah's Truth and the lies of the dragon. (See Romans 7:20-25). The eye represents the dragon's control over those who fix their gaze on the lies of those who teach them. When we shift our attention toward receiving a love for the Truth, we overcome the false reasoning of those who teach us we will not die if we sin. Resist the devil, and he will flee, because we receive a love for the Living Word, Yahusha, represented by the silhouette of the person in the center of the front and back cover. 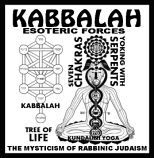 When Yahusha becomes the center of our life, the lies have no control over us. This book is available at amazon as a Kindle eBook, and you can download it instantly!